As a workforce and work place expert, we’d like to share our view of the 2014 workforce. After reviewing the numbers and statistics from 2013, here are 14 staffing trends to look out for in 2014. In November of 2013 the economy had more temporary jobs than any month but April of 2000. The number of temporaries as a percentage of the total workforce (called the penetration rate rose above Octobers’ number from 2.03 from 2.02 percent of the total workforce. This represents 2,775,900 workers in the temporary field. These numbers reflect the commitment of business to find ways to keep their workforce more flexible and adaptable to economic fluctuations and marketplace changes. You can expect this trend to continue and for 2014 to be the year that more temporaries than ever before are in the workforce. 2014 will continue to show improvements for college grads. Unemployment rates for college level unemployment fell .4% points to 3.4 from 3.8%. Unemployment rates will continue to decline. Currently at 7.0% down from 7.6% in May of this year. 2014 will bring the end to the 7’s as we slowly, gradually, almost painfully lower the rate! Monthly job creation numbers will continue to be above 200k jobs next year. The US created more then 200k jobs just a handful of times in 2013. This will become the norm rather than the highlight reel moment! You can expect 200,000 to retire per month. The statistics suggest that 10,000 a day/ 300,000 a month is plausible. Even with an improved stock market and stabilizing housing prices, the number is probably adjusting down a little. The new workers entering workforce have been thought to be balancing or replenishing retired workers. Expect the numbers of retirees to increase and the numbers of workers to be relatively flat. This could further lower unemployment in 2014. Technical fields will continue to show strong demand. These are good times to be in accounting, finance, IT, engineering or “ist” fields in the sciences (i.e. chemist or biologist). Organizations will continue to shift their business strategies, thus impacting their people. Look for more firms to focus on meeting the needs of workers that go through a reduction in force (RIF). Studies show that the focus is on getting people jobs first and doing what is right for the firm second. More and more outplacement will be done through virtual/technology driven models that lower costs of services but meet the changing needs of the worker! Office space is no longer important… and updated, contemporary coaching content will never go out of fashion! Never before in the history of the modern workforce will it be more evident that employees are fully responsible for their own careers as workforce trends confirm the end of the “parental role” big companes used to play. The Rise of the Coach. Today’s employee uses a coach to lose weight, achieve personal goals, to learn new skills in business as a high performer, and to manage their career. Look for the HR field’s (more likely and entrepreneur!) response to the needs of the workforce and to become their agent in 2014! Temporary staffing utilization is up over 8% this year. Expect that number to be exceeded in 2014 as more small and mid-market companies get comfortable utilizing a contract workforce! This is the year the underemployed make a change. The number of people that are chronically underemployed in lesser jobs or in jobs that provide less hours of work then desired see modest improvement. With unemployment being as low as April of 2008, this worker pool will be next in line! Jobs growth and creation will continue to be frustrating. Some markets and cities will see strong job creation, while others will continue to lose job sectors and industries at an alarming rate. Job growth will not be everywhere, instead you’ll see it in pockets! Overall, you can expect businesses to modestly increase hiring plans in 2014. But the use of temporaries will continue to rise as the business strategy behind using a contingent workforce continues to have a higher adoption rate. Here’s to a great year for the workforce! While the labor market, workforce, and economy continually change, there is no surprise that businesses are adapting to these changes in order to develop a more reliable and efficient talent acquisition process. Specifically, small to mid-size companies lacking the revenue to employ internal recruitment teams have turned to Recruitment Process Outsourcing (RPO) solutions. 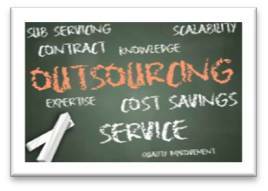 Recruitment Process Outsourcing is a form of business process outsourcing (BPO) where an employer transfers all or part of its recruitment processes to an external service provider. As the economy improves, the ability to hire is gaining momentum. In fact, more RPO deals were signed than ever before in 2012. An RPO partner can help onboard talented and motivated candidates to the respective company, with desired transparency, allowing for more focus on business goals and growth, which has ultimately, according to the Human Resource Outsourcing Association, created a $1.5 billion RPO market worldwide. Partnering with an RPO solutions vendor to decrease time-to-hire, reduce costs, and increase quality in candidate pools, while having the ability to create collaborative solutions from scratch, has become increasingly relevant in today’s job market. However, according to a survey conducted by HRO Today, of 3,500 HR executives just sixteen percent considered themselves ‘highly knowledgeable’ about the RPO business process. With a singular focus, and a wider reach of recruiting expertise, RPO partners like CBI Group are able to greatly increase the quality and quantity of potential candidates. For thriving businesses, talent acquisition needs are constantly growing, and a move to an RPO model gives companies the ability to rapidly scale their recruiting efforts, with additional recruiters, pipelines of potential candidates, or both. More specifically, a solution can be jointly created to ensure particular components of hiring needs are met to benefit the client most effectively. For example, GE Money, a leading provider of banking and credit services, was experiencing staffing challenges, and decided to try an RPO solution. Main challenges included: inconsistent interview practices; variable candidate quality; average cost per hire more than $9,000; time-to-fill typically exceeding three months; and overstretched HR resources (GE Money, Tammy Grisham). According to Tammy Grisham, Talent Acquisition Lead, the average cost per hire was reduced from as high as $10,847 to as low as $3,300, after implementing the RPO solution which best suited the company. Moreover, Grisham notes an average recruiting cycle time reduction from 115 days to thirty-seven days was realized. While GE Money chose to incorporate a complete solution, there are other forms of RPO solutions that can be of great benefit to specific hiring situations. In most cases, RPO solutions are broken down into three different components, each segueing to the next step of the solution. For example, the simplest component, sourcing qualified resumes to be submitted to the client, is often referred to as Project RPO, which does not include any candidate pre-screening or interviewing provided by the RPO vendor. Additionally, the next step further engages the candidates, and the qualified individuals are contacted and screened according to the client’s requirements and qualifications, followed by submission to the company’s HR point of contact, also known as Partial RPO. While solutions can be broken down into separate components, Full RPO is a solution which encompasses all aspects of recruiting; from sourcing, to screening, interviewing, offer negotiations, and finally, hiring. Of course, implementing the right form of RPO for a specific talent situation is essential for success; however; with a collaborative, customized, and creative solution, a productive partnership should be attainable. While bottom-line benefits are openly represented, underlying assets can also contribute to the validity of RPO solutions. The RPO partner has the ability to gain knowledge of the client’s culture and encompass the idea of the company’s long-term goals. In turn, creating an understanding and trust in the transparent relationship, laying the groundwork for a successful engagement. For instance, recruiting efforts of an RPO partner conveys the client’s brand instead of marketing individuals to several companies as is usually the case with traditional staffing agencies. Ultimately, Recruitment Process Outsourcing can not only make a substantial positive difference for a company’s Human Resources department, but can be an exceedingly viable solution for the entire business. To find out more about CBI Group’s RPO solutions, contact one of our Managed Staffing team members at 302-266-0860. You started your company to leave your mark and get away from the structure, hierarchy, and the limited impact you had in corporate America, right? So, you enjoy your leadership freedoms as an entrepreneur and you run your company like the Wild West. No rules, no regulations, and a strong individualistic identity. And guess what? The Wild West actually works. I grew my organization an average 40% per year for five years this way. And, if you were thinking I loved it, you are right on. The Wild West is easy when you’re under 30 employees. We would gather in a conference room or someone’s office and the entire company could get on the same page with the company direction. In fact, everyone came to every meeting when we had them. Which was not frequent, because I hated the meetings I had to attend in my last gig. The Wild West is about letting people be themselves. Early employees join because they believe in the founder and in why the company exists. Employees simply made decisions. There are no job descriptions. When the phone rings someone answers it. When something needs to be done no one needs to ask, someone simply did it. This time in the business is really special. Every customer win or innovation is so easy to see and celebrate, and communication happens in real time, all of the time. Then one day it all stops working. The growth stops. You might even lose ground! This is my story. The Wild West gun slinging era stopped producing results. Your staff hates it and can’t figure out why! And they will leave unless you make changes to how you run the day to day. And many small business folks never figure out how or why. As you grow communication begins to break down. Everyone stops knowing everything. The business that ran so perfectly in its early years grinds to a halt. It seems like every person, every step in the business, every process, even every function of the business like accounting, sales, or marketing can’t keep up and does not know what the other parts of the business are trying to get done. So why is growth so hard? 1. Leaders find it hard to change the business routines. Small business leaders love working long hours at first. I was known to say “Every problem is mine to fix!”. The variety of tasks and duties (although overwhelming) is intoxicating. Delegation becomes really important here. 2. We have an identity crisis when it comes to putting process in place. If you worked in corporate America I bet there was lots of process and focus on systems. Early companies just exist. I find the hardest part of my job is right here. How much process is enough for the stage my company is right now? Or if I am growing for next quarter? Don’t over-engineer and kill the entrepreneurial spirit. BUT, if you don’t put process in place your costs of doing business will escalate and not keep up of with your top line. 3. All of a sudden competitors and clients know you exist. Small business does not claim market share. Small business goes out and does what it needs to do to sell things and create top line revenues. Bills must get paid. The big hope really is that as you pay some bills, your customers will help refine and improve your products and services. This Outside-In® interaction with your market will drive creativity and new offerings to solve your customers challenges – and your growth cycle continues. However, if you grow, your (bigger) competitors get to know you, …and they can lower costs or press to take away your clients. So it is hard to mature and grow as a business, everything about your business must grow up too! I know I said three reasons growth is hard. However, there is one additional big challenge to stay aware of and that is the entrepreneurial leader. We as leaders must change our approach and style with the phases of growth of your business. Yes, you still want to open the mail, and show that you’re hands on. But how does your role need to evolve? It involves trust in your colleagues and employees. Are you able to let go of the reins a little bit and let your vision grow in the hands and minds of those you hired? 1. “Entrepreneurs love big risk.” Actually, entrepreneurs hate risk – I swear it is true! The world thinks we live for “the big gamble”, and that we like to take chances. But we do not. In fact, most of us will mitigate a risk the second we get the opportunity. 2. “Entrepreneurs are all visionaries.” We are not all visionaries. In fact, we simply work harder at gathering information about a market or customer segment. We have better information! 3. “Entrepreneurs hate authority.” This is a common misconception about entrepreneurs. Trust me, we don’t hate authority or direct supervision or even the concept of outside input. The reality is that we do want teams and opinions. We thrive on the input and insights that a team can provide. 4. “Entrepreneurs can’t secure a job!” We can get a job – really, we can! I have heard it said that most entrepreneurs are not-for-hire and are incorrigible. I am not sure this is entirely true. Entrepreneurs see and work differently, because the work of an entrepreneur is different than most jobs. Entrepreneurs try to do it all, because they have too. As business evolves so does the entrepreneurial job. What we all want is to feel important, to be heard, to be apart of the process of improvement. To feel valued. 5. “Entrepreneurs dislike structure and routine.” No, we like structure. We do. Sure, we may evolve away from the rigors of corporate America. We feel “free” from the weight for a little while. Yet, as our business ideas grow and achieve some size and scale we again become comfortable with the ideas of structure and routine. We may say we hate it; but really we just need to evolve through the steps of organically achieving each step and level of business success. 6. “Entrepreneurs love to work 100 hour weeks.” We do not like to work 100 hour weeks. Really we don’t. Okay, some of us do. However, more of us prefer to see our business operate without our involvement each and every step of the way. 7. “The advantages and disadvantages of competitors don’t apply to entrepreneurs.” Believe me when I say, we do have the same advantages and disadvantages of our competitors – big and small. Smaller businesses have speed and limited rules while big companies have money infrastructure, resources, and big budgets. All are advantages, all are barriers. It is up the leadership to maximize the possibilities with whatever your resources might be. 8. “Entrepreneurial businesses have too many limitations.” Popular opinion suggests that small business has limits. Not true! Small business has advantages. We are smaller, faster, have less limitations, less history, and baggage to get in the way. New and big ideas come when there are not the barriers of what previously existed! 9. “Entrepreneurs value vision over execution.” Some of us have learned that vision is not the same as an idea well executed. Not all of us are dreamers. We evolve through our experiences too. Execution is where it is at! Yes, you need vision, the troops want to know where we are headed. But getting things done well make all of the real differences. 10. “Entrepreneurs are always content.” Don’t worry, entrepreneurs can be unhappy too. Life is not perfect for anyone. Our lives seem easy, our cars new, our houses nice to visit. But, we have sacrificed to get where we are. And those sacrifices will not be evident at first glance. But we are unhappy when we compare our goals to something perfect! Perfection comes when we learn to celebrate what we do achieve! So those are the common misconceptions I typically encounter as an entrepreneur. Do you agree? Disagree? Send me yours and we can post them all! It’s Budget Time — Is Your People Plan Ready? Wait, maybe it is not that easy! Whether you are in a big company or a small entrepreneurial business, the fourth quarter is a time of planning and forecasting for the year ahead. 2012 is coming, and I am not sure we are all ready. But guess what? 2012 will come whether you plan or not. Why not be as ready as you can? Budget time, yahoo! The largest line item in all of our budgets? People! You would think that with all of our advancements in IT and software that people planning would be easier. Workforce analytics and executive dashboards have come along way, however there is still a lot of managing to be done for most of us. Let’s look to history for our explanation. Traditions in budgets come into play. Long-range planning used to be much longer, 5 years or more. Business did not change as fast. We did not have as much information. The world moved a little slower. Today, one year can be a long time. Business moves up and down much, much quicker too. When it comes to the workforce, everything was more stable. Most of us stayed with one company a little longer. Companies could afford to be “parental” and careers began in the mail room and ended years later with the gold watch. Wow, that sure is not true today. Budgeting for headcount did not change much year to year. Just add a few percentage points to last year for cost increases and move on. NOT ANY MORE. I have a good friend and customer who is in manufacturing. Every year they run an extensive process to plan for people within the business. And every year it is completely wrong. Planning how a business will do is one thing, but planning a business and its people needs? We are talking a completely different level of complexity. The workforce/worker issue today is so complex. Each of us will have 7-10 different careers and many will change paths completely. There are multiple generations in the workforce. Some that remember and miss parental companies and many that know they will never exist again. Why? They grew up in households where their mom/dad/uncle/aunt were caught in down sizing and the realities of today’s world of work. Now there are options for free agency, contingent workers, contractors, temporaries. There is so much for managers to absorb and for the workforce to deal with. And yes, it makes planning for people and budgets harder. Our managers psyche is forever changed. The economy is still so uncertain in its recovery and slowwww to rebound. We see high employment numbers and assume that people planning can and should be an afterthought. “There is so much available talent, just keep them coming.” My company hears this everyday. So many business plans are finished and then HR is asked to fill the openings. The War for Talent still exists. The War is just taking longer. The War is just different than we thought. Many critical skill sets remain difficult to staff with “A” players. Ask any head of engineering or VP of sales. The right talent is still rare. Work is different today too. Most work we need done can be project oriented. Jobs and people are rarely perfectly matched. Change happens. People and jobs outgrow one another. This phenomenon has always happened, it is just speeding up! Technology has made most jobs portable — jobs can be done anywhere one has good Internet and telecom. Staff can be and is global. The world of work and workers has never been more complex for your business. And our mindsets and tools to manage have not kept pace. We all need to change and evolve. Learn to embrace that the way work is viewed is forever changed. We must become workforce experts as managers of our businesses. Get a rolling forecast going. Yes, build a budget that allows for changes and inevitable surprises. Roll with it.